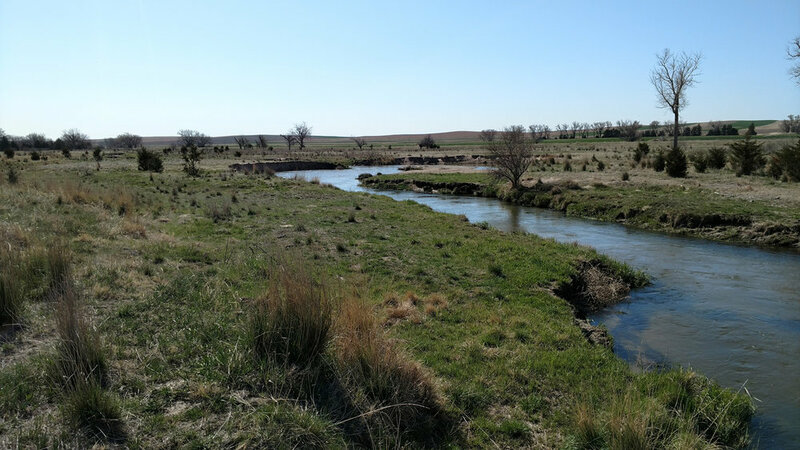 Located just west of Benkelman, NE in southern Dundy County, this property offers 1 mile of the Republican River for hunting and recreation. The new owner will enjoy the north side of the river in the west portion and both sides of the river in the east portion. Sporting opportunities include waterfowl, turkey, whitetail and some mule deer. What a nice opportunity on the Republican River. The property includes 1 mile of the Republican River for enjoyment. In the western portion the center of the river is the property boundary. In the eastern portion the landowner enjoys both sides of the river. The property in bisected in the northern portion by the county gravel River Road and railroad tracks. There are approximately 92 acres of rangeland on the north side of River Road. This war formally CRP and is very good habitat for upland birds. This area would provide an opportunity for a building spot overlooking the river valley. The property would offer good grazing for cattle as a residual income. The stock water is provided by the river. There is a stock well on the property although it has not been used for a few years. Hunting on this property would include whitetail and mule deer, turkey, upland birds and waterfowl. Take a look at this opportunity, properties like this on the Republican River are seldom available. Disclosure: Property owner is a licensed broker with NE Real Estate Commission. From Benkelman, NE 1/2 mile south on US Highway 34 to River Road or also known as Doane Road. Then west 2.5 miles to the property. 2018 taxes payable in 2019 - $1,860. Older PostRoscoe's South Platte "EAST" - Keith County, NE NEW! !